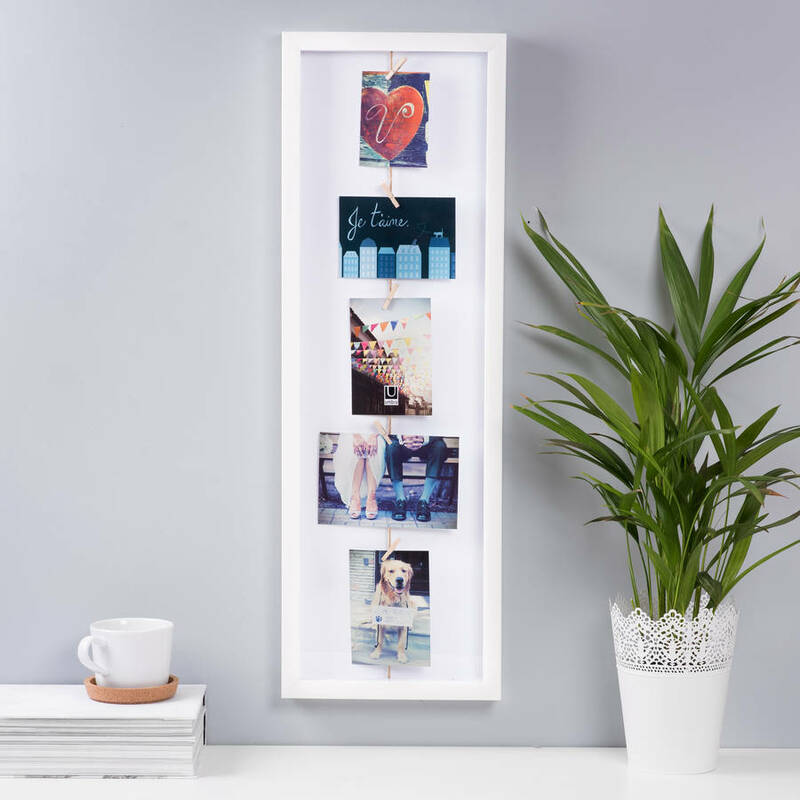 Keep things flexible and hang your photos vertically or horizontally depending on how much space is on your wall! 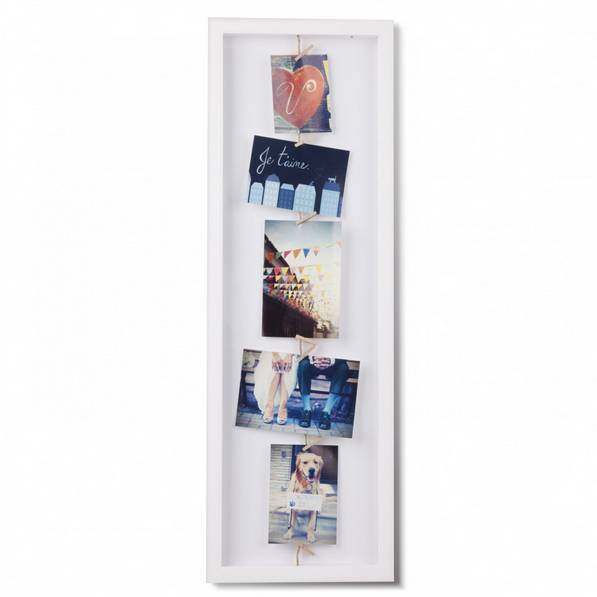 This molded wall frame comes with a clothes line and 7 wooden clips to hold photos or keepsakes. 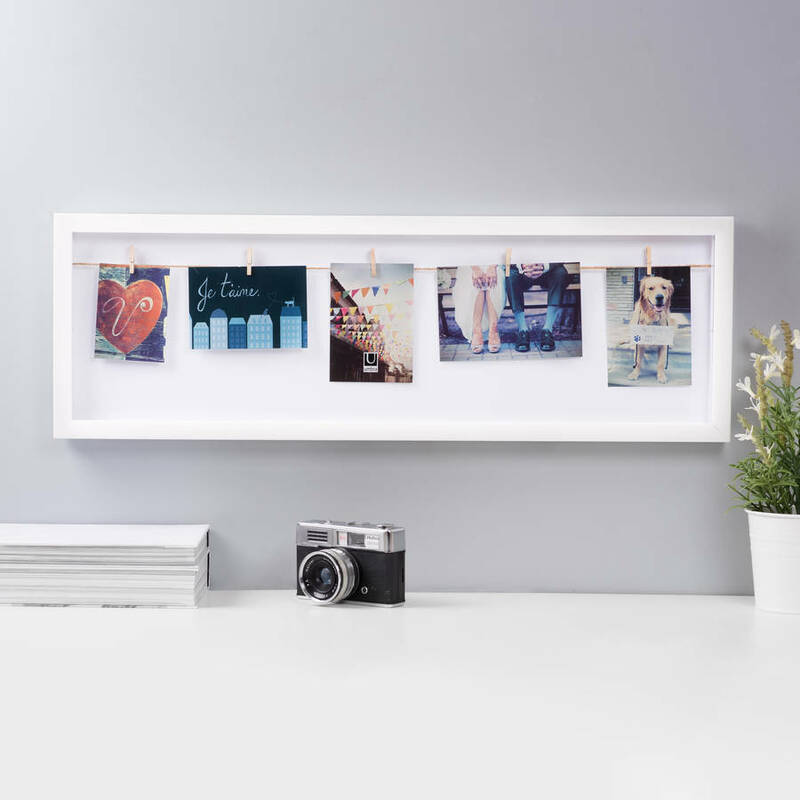 It makes the perfect gift to celebrate a new-born baby, wedding, or world travels.